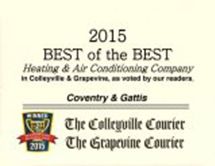 HVAC & Plumbing in Grapevine, TX | Coventry & Gattis Air Conditioning, Inc. 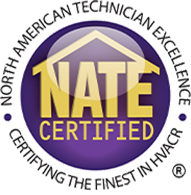 The licensed and NATE certified technicians at Coventry & Gattis Air Conditioning, Inc. have provided the best plumbing, cooling, and heating services in Grapevine since 1971. We take pride in being the best property improvement specialists in the area. Whether you need a new heater installation, a plumbing repair, or an AC replacement, we’re trained and equipped to service any equipment make or model. We are extremely dedicated to providing our clients with the year-round comfort they deserve. Our repeat customers and property owners who have enlisted our services have been our biggest advocates. Be assured that we’ll take good care of you when you leave your plumbing and HVAC needs in our care. 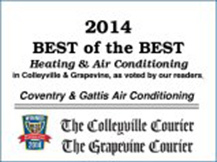 Call Coventry & Gattis for All Your HVAC & Plumbing Needs in Grapevine! 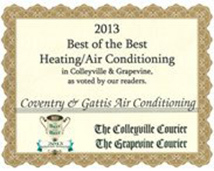 Call Coventry & Gattis for All Your HVAC & Plumbing Needs! 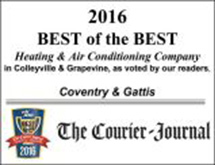 At Coventry & Gattis Air Conditioning, Inc., we strive to handle the area’s property improvement needs with the highest level of quality and diligence. We always take the extra mile when determining and developing the best-tailored solutions to our customer’s unique needs. Our customer base continues to grow through the top-quality workmanship and superior service we provide daily. Our team takes pride in delivering the highest quality services. 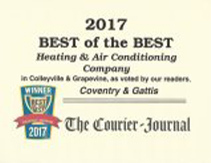 As a family owned and locally operated company with nearly half a century of experience in HVAC, Coventry & Gattis Air Conditioning, Inc. have established a reputation as the top HVAC and plumbing experts in the area. Whether your AC gives out on you on a scorching summer day, your heater breaks down on the coldest winter night, or you’re hit with troublesome plumbing problems when you least expect it, our team is here for you when you need us. As proud TRANE partners, we carry top-of-the-line systems and services that are sure to achieve your desired level of year-round comfort. We believe in treating customers the way they want and deserve to be treated. When you hire our friendly and courteous team for your plumbing and HVAC needs, trust that we’ll keep your best interests at the top of mind.